Bill is a trial lawyer and has over 30 years of experience in a broad range of product liability, mass tort, class action, construction, insurance and commercial litigation. He has defended multiple companies in asbestos litigation and has acted as National Coordinating Counsel (NCC) for a number of clients. Bill has had trial and supervisory responsibility for well over 100,000 cases and has tried cases involving hundreds of plaintiffs in jurisdictions throughout the country. In his capacity as NCC Bill has acted as a chief strategist and counselor in Mass Tort Litigation and has developed defense strategies and theories that have been adopted and implemented nationwide. 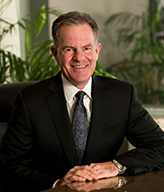 Bill is the founding and managing partner of the O’Brien Firm.